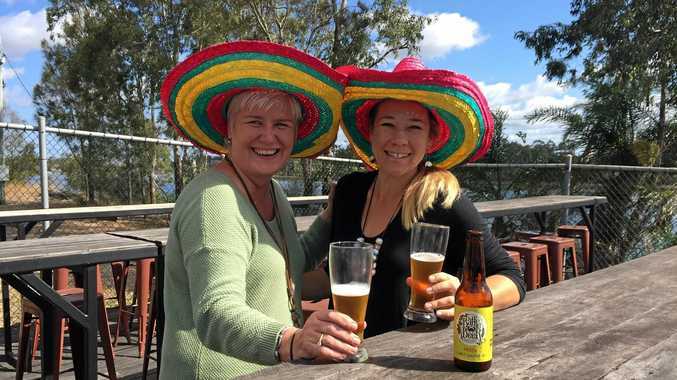 FIESTA FUN: Karen Wittkopp and Jay Feather drinking a Fiesta chilli lime pale ale by Baffle Beer which will be available at the Chilli and Lime Fiesta next Friday. DELICIOUS local produce will be the highlight of the afternoon when RiverFeast holds their inaugural Chilli and Lime Fiesta next Friday. The family friendly festival, part of the Winterfeast program, will feature food vendors using iconic local produce to craft special signature dishes from around the world. 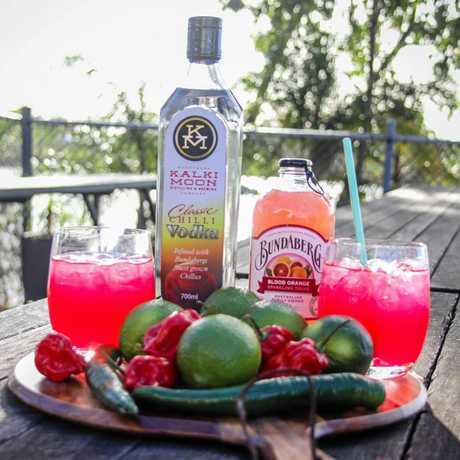 "We will be celebrating Bundaberg grown Chilli and Lime, through this very special foodie event,” Riverfeast manager Karen Wittkopp said. Ms Wittkopp said RiverFeast had partnered with two great local businesses, Aust Chilli and Bundy Limes, to provide the farm fresh produce to the event vendors. "The result of working together tastes amazing,” she said. "We even have signature drinks that have been made especially for the event. YUMMO: A blood moon cocktail. The event will feature a full program of live entertainment on the venue's two stages. Flamenco guitar, drumming and belly dancing will be some of the highlights of the evening. There will also be special guest appearances by Bundaberg's own international Salsa Dancing champion Heidi Pozzan. Flamenco guitarist Al Davies will get everyone dancing. And if you area bit of a champ at contest, the team at 4670 BBQ will be also be holding a very special chilli eating competition. "Our Beat the Reaper Chicken Wing Challenge is going to blow the participants heads off,” challenge organiser Paul Durston said. "The wings have been marinated in our special chilli sauce, which has been made from Reaper chillies. Everybody is welcome to attend the event, and entry is free. 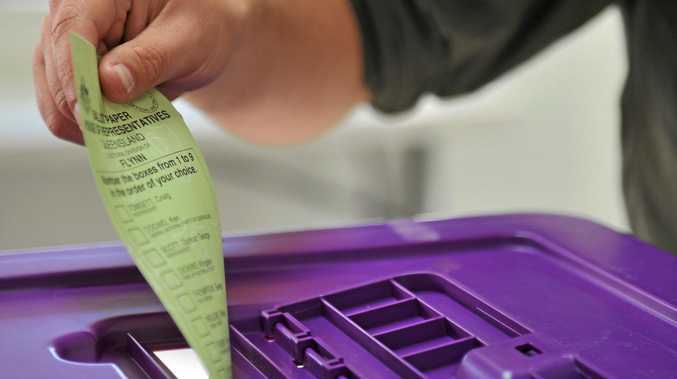 Where: RiverFeast, 1A Scotland St, East Bundaberg.